Kia Motors Manufacturing Georgia, Inc. recently celebrated production of the 500,000th vehicle at the West Point, Ga. automobile manufacturing facility. 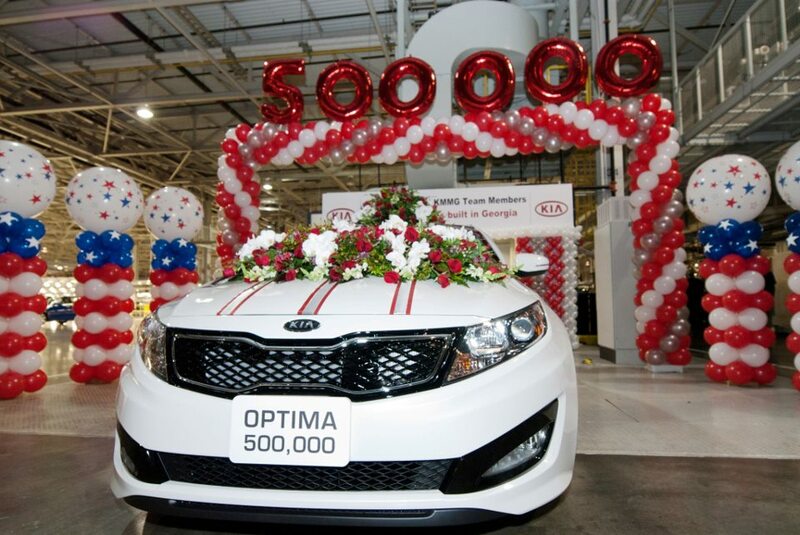 Vehicle number 500,000 was a snow white pearl Optima SX and will now be allocated to one of Kia Motors America’s more than 755 dealerships nationwide. This entry was posted in Cars and tagged all star automotive, car buying, car dealer, car sales, cars, kia, midsize cars, purchasing a car by All Star. Bookmark the permalink.